On September 17, 2014, Christopher Mulleavey was appointed to the Board for the NH Joint Board of Licensure for Engineers. The Board’s purpose is to regulate the practice of Professional Engineering in this State to safeguard, life, health, property, and to promote public welfare. Having grown up in New Hampshire, Chris attended the New Hampshire Vocational Technical College in Berlin acquiring his AS in Applied Sciences before continuing his education at New England College in Henniker and receiving his BS in Civil Engineering. Chris received his New Hampshire Professional Engineer License in 1999 and throughout his career has made a positive impact on many communities throughout the State. 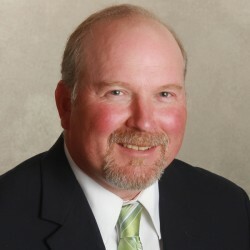 Chris is the current President and CEO of Hoyle, Tanner & Associates, Inc., a 100 person civil engineering firm headquartered in Manchester, New Hampshire.